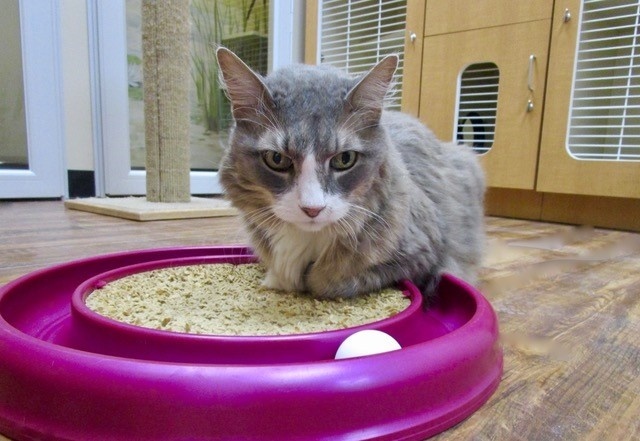 Cat Boarding or Cat Sitting: Which is Right for You? You're getting ready to travel, and you want to find the best possible care for your cat. It can be hard to choose between having a cat sitter come to your home or taking your cat to a boarding facility. You're getting ready to travel, and you want to find the best possible care for your cat. It can be hard to choose between having a cat sitter come to your home or taking your cat to a boarding facility. Which option provides the best care for your beloved pet? While the ideal solution can vary from person to person (and cat to cat), there are a few ways in which cat boarding might be the better choice. On the pro side, hiring a cat sitter to come to your home once a day to check on your cat may be less expensive than boarding. You might also like the idea of being able to leave your cat at home in familiar surroundings. On the other hand, an inexpensive cat sitter may not have medical expertise in case of an emergency. Your cat will be alone for most of the time you're away, which could be stressful. The benefits of cat boarding at the right facility include well-trained care, more supervision than a cat sitter usually provides, and the peace of mind that comes with leaving your cat at a reliable boarding facility. A great cat boarding facility will provide individual care and attention for your cat and will give you frequent updates so you can be sure your cat is happy and healthy while you travel. There can be some downsides to boarding, including cost and uncertainty about moving your cat to a new location. But the high level of care is worth the extra cost, and a good cat boarder will take steps to ensure that your pet doesn't endure any undue stress. At Nourish Pet Care, we offer Luxury Cat Boarding featuring a cats-only facility, clean and ventilated habitats, plenty of individual attention, stimulating playtime, and daily email updates.